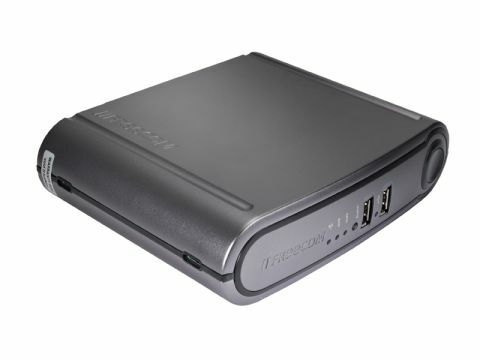 The uncommonly quiet-running Freecom Network Drive Pro makes the most of the cooling properties of its stylish aluminium case for reduced fan speed and noise. Features such as soft shut-down after a selected number of hours make the drive even more eco-friendly and easy to live with, and initial setup is simplicity itself. The wide range of options includes using the drive as a file server, web server, FTP server, USB server and print server, so service is definitely key. There's even special support for BitTorrent downloads and the NTI Shadow Backup software is particularly good, although there's no DLNA support for media streaming.